KIEV, Ukraine -- The National Bank of Ukraine has issued (22nd March) a new coin in celebration of Ukraine’s first declaration of statehood, which occurred in the wake of the dissolution of the Russian Empire in 1917. Events surrounding the abdication of Czar Nicholas II on the 15th March 1917 resulted in the initial declaration of independence in the spring of 1917, but this declaration would be followed by a civil conflict and a short-lived duration of statehood. Russia suffered terrible losses to the Imperial German forces at the start of the Great War. A consequence of those early losses was the surprise abdication of Nicholas II, emperor and autocrat of all the Russias, and the dissolution of the 300-year-old Romanov dynasty. The czar had been blamed for poor and indecisive leadership as well as for bad choices in his appointment of Imperial Russian Army generals, who were also blamed for the significant loss of life and territory. With the czar’s abdication and the subsequent ascent of the Bolsheviks in St. Petersburg, the provisional government in Kiev — today considered the precursor to the modern state of Ukraine — declared independence on the 10th June 1917 as the Ukrainian People’s Republic, in conjunction with the new Russian provisional republic. Further East, the Ukrainian People’s Republic of Soviets, based in Kharkiv, also declared their independence, allying themselves with the Soviets in Russia. To the West of Kiev was the region of Ukraine ruled by the Austro-Hungarian Empire, who formed as the West Ukrainian People’s Republic, and whose seat of government was located in Lviv. The result of these three representative governments’ vying to represent the whole of Ukraine was constant fighting with one another, resulting in substantial casualties on all sides. Another obstacle to independence at the time was that neither of the two governments in Kiev or Lviv managed to gain enough support in the international community; consequently, they both failed as representatives of the new state of Ukraine. After the armistice of November 1918, which saw victory for the Allies of Great Britain, France, and the United States, the 1919 Treaty of Versailles managed to secure Ukrainian land from the defeated and now defunct Austro-Hungarian Empire. In the west, the lands known as Galicia and western Volhynia were ceded to the newly born Polish state. The Kingdom of Romania retained the province of Bukovina, and the newly created Republic of Czechoslovakia also secured former lands in what was referred to as Austria-Hungary—namely, the lands of Uzhhorod and Mukachevo. However, the remaining central and eastern Ukrainian provinces were ceded to the now-recognised Soviet Union. The fighting within Ukraine lasted until 1921 when hostilities ended with the Peace of Riga treaty, signed on the 18th March. The treaty essentially formalised the ceding of former Ukrainian territory to the newly established Polish Republic and the Soviet Union. This meant Moscow would once again gain control of the remainder of Ukraine. Ukrainians saw their attempt to attain an independent state crumble in favour of other countries; this was difficult to accept, especially since as many as 1.5 million people had lost their lives while fighting for it. The newly created Ukrainian Soviet Socialist Republic was considered a founding member of the Soviet Union, which endured until the 31st December 1991. The USSR was literally signed out of existence by then – General Secretary Mikhail Gorbachev, ending Ukraine’s 70-year formal association with Russia. 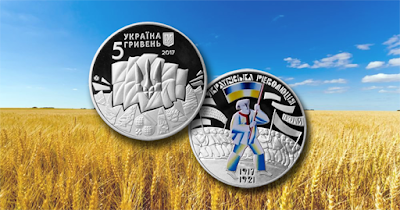 Ukrainian independence was formally declared on the 24th August 1991, before the USSR’s dissolution, and was swiftly recognised by various nations worldwide as well as the United Nations.